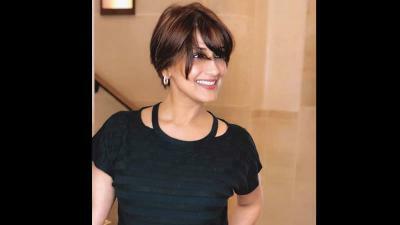 Mumbai: Sonali Bendre was diagnosed with cancer last year and since then; she has worked towards surviving her vicissitude. The actor was called as a guest at the 5th International Conference of CAHOCON in Mumbai on Saturday. The ‘Sarfarosh’ actor took part in the discussion at the 5th International CAHOCON (Consortium of Accredited Healthcare Organisations), which is aimed at ameliorating healthcare, and raising awareness amongst consumers and stakeholder. The 5th International CAHOCON, which commenced on April 12, ends on Sunday. “That’s where it started for me, not listening to the signals. I went in for a TCRE procedure. We suddenly discovered that something was there. And then we came to know it wasn’t just there, it spread all over,” Bendre explained. Sonali thanked the panel and gratuitously expressed her happiness to have been called there. The actor firmly said that she would be happy in laying out any support in any way possible.